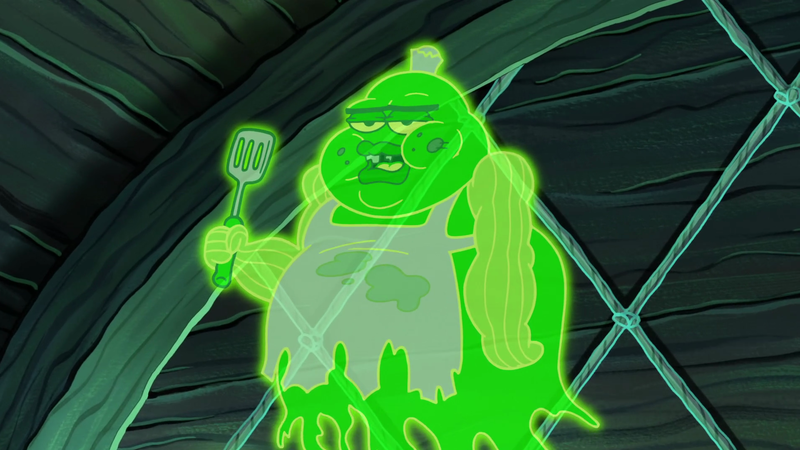 Description: A ghost fry cook, who owned Rusty's Rib Eye. He was summoned by SpongeBob to make the Rusty On Rye. After other ghosts caused a ruckus, he got sucked back into an orb with them.